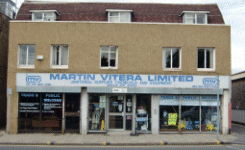 Martin Vitera Limited has been established since May 1975 and supply a complete range of janitorial supplies, cleaning chemicals and equipment. 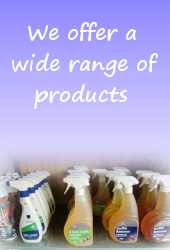 We keep an extensive range of commercial cleaning products in stock which include branded as well as our high quality and value for money MV brands. 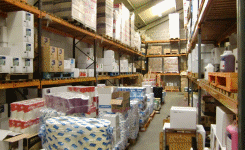 Our large premises are located in Welling High Street, Welling, Kent which include two warehouses, a showroom with a trade counter and our offices. We pride ourselves on the first class service we offer to our customers, who obviously appreciate the care we take as they have remained loyal for many years. Martin Vitera Limited is BSI ISO 9001:2015 Registered. We are proud of this achievement as it confirms to our customers that we supply only quality products, our Quality Policy and Procedures are completely adhered to and each member of our staff is wholly committed one hundred per cent to ensuring our high standards are maintained. We are a member of The Cleaning and Hygiene Association. Naturally as a BSI Quality Approved Firm, Health and Safety is very important to us and we send all our customers the appropriate COSHH literature with all chemicals we supply.